Our vision for data is one of direct compatibility, synergy and collaboration. Guided by this vision, we at Maxxphase are moving beyond data integration. Data compatibility is so much more powerful than the methods previously used for decades – so powerful, in fact, that it's data integration's inevitable replacement. Just like the internet opened untold opportunities for connectivity and networking, data compatibility will open business opportunities beyond imagination. Maxxphase Data Compatibility Standards represents the first time in the history of information technology that multiple databases are built to be directly interoperable -- to function as a single consistent database. All your data may be made compatible within your organization, across all organizations, across industries and globally. This is just not possible with traditional information technologies which trap data in disparate silos. 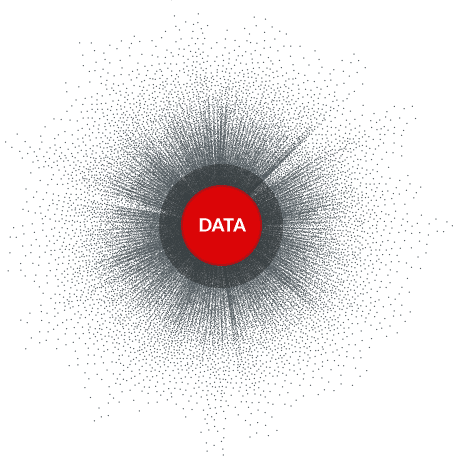 Data works best when it can be utilized seamlessly to support business operations, decisions and analytics, and to build information and knowledge. To achieve this, the data from every data system needs to be interoperable with the data from every other data system. Every system should be an integral component of a single consistent data universe. The data from every data system should be accessible and shared across data systems to function as if the data was never stored separately to begin with. Unfortunately, our current data systems are far from this, as each data system lacks the compatibility needed for the data to directly interact. The most commonly-used incompatible data systems make such direct data collaboration and synergy impossible. Our vision for a future driven by compatible data is based upon Maxxphase Data Compatibility Standards. Our Data Compatibility Standards can be used to implement new compatible data systems, or they can be used to transform existing incompatible data systems into seamlessly-interoperable and compatible data systems. Through data compatibility, all types of data systems will be integrated into one cogent whole. Just like a jigsaw puzzle, your data should fit together to form a complete picture for your entire organization -- and even for your industry by being compatible with data from business and industry partners. The future of information technology is certainly brighter, thanks to data compatibility!